With long term use there will be a tendency to stabilize at pH 8.3. Carbonates and calcium are essential to all coral growth. If either becomes deficient, coral growth will cease, followed by a rapid decline in coral health. Used as directed, Reef Builder™ will not deplete calcium, magnesium, or strontium which usually tend to precipitate with increasing alkalinity. 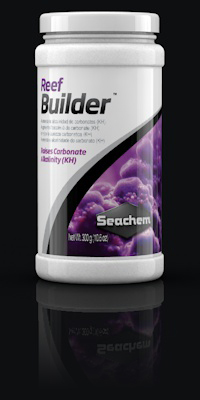 Reef Builder™ and Reef Buffer™ may be used together. Use Reef Builder™ to raise carbonate alkalinity without affecting pH. Use Reef Buffer™ to raise carbonate alkalinity and pH.